Fast delivery, had it here in the UK in 3 days. These are th .. The 2017 Warner Bros. adventure film directed by Guy Ritchie tells a new version of the legend of King Arthur. Robbed of his birthright, Arthur comes up the hard way in the back alleys of the city. 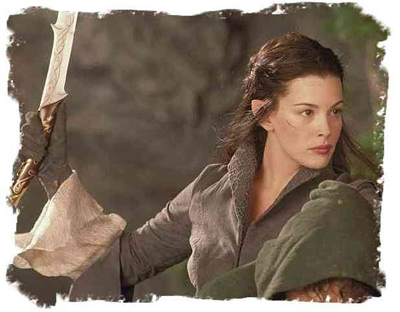 But once he pulls the sword from the stone, he is forced to acknowledge his true legacy - whether he likes it or not. The young Arthur runs the back streets of Londinium with his crew, not knowing his royal lineage until he draws the sword Excalibur from the stone. 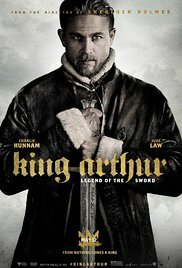 Instantly confronted by the sword’s influence, Arthur is forced to decide where to become involved with his power. Throwing in with the Resistance and an enigmatic young woman named Guinevere, he must learn to master the sword, face down his demons and unite the people to defeat the tyrant Vortigern — who murdered his parents and stole his crown — and become king. Our parent company, Jalic Blades, is the licensed manufacturer of prop replicas from this film and we are pleased to offer those replicas for sale here.